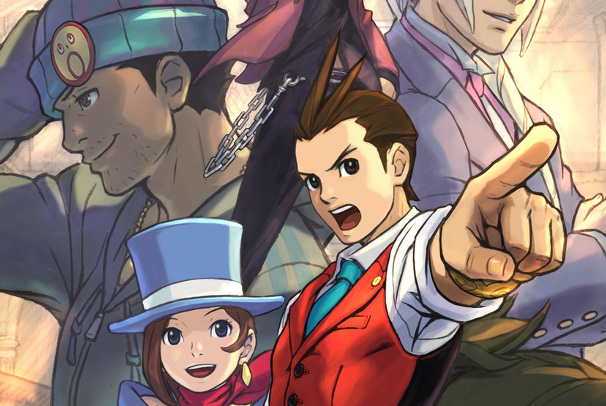 Apollo Justice (center) was the protagonist of Ace Attorney 4. Phoenix Wright and his famous finger are returning at long last! Nearly five years have passed since the last mainline Ace Attorney game was released in Japan, but Capcom has finally announced that Ace Attorney 5 is in development, Andriasang reports. No gameplay or story details are yet available, but we speculate that it will star Apollo Justice again; despite his role as Ace Attorney 4's protagonist, that game was more about Phoenix Wright and his adopted daughter Trucy, leaving plenty of room for stories about Apollo himself. Information regarding platform and release date is also forthcoming. The announcement came during Capcom's celebration of the series' tenth anniversary; although the original Phoenix Wright was not introduced to Western audiences until its DS port in 2005, Gyakuten Saiban ("Comeback Courtroom") was originally released for the Game Boy Advance in 2001. 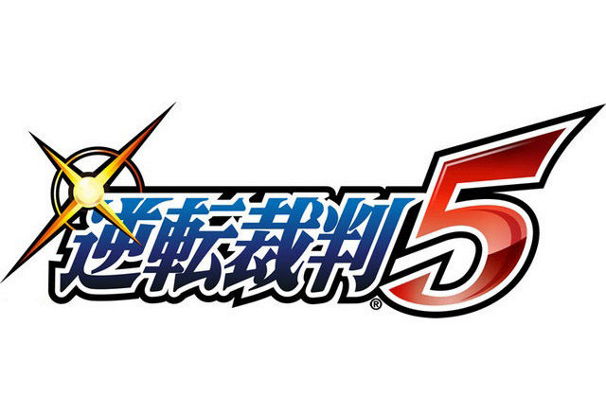 The logo (Japanese) for Ace Attorney 5. A live-action Ace Attorney film has just debuted at the International Film Festival Rotterdam. After it begins playing in Japanese theaters on February 11th, it will eventually see worldwide release. Capcom will also bring a bundle of the first three Ace Attorney games to iOS devices with a high-resolution art upgrade, and an Android version will follow. Finally, developer Level-5 has revealed that famed animation studio Bones is contributing to the Nintendo 3DS title Professor Layton vs. Ace Attorney, expected in Japanese stores sometime this year. Despite Phoenix's appearance in Ultimate Marvel vs. Capcom 3, the future of the series in the West has been in question--the latest spinoff installment, Ace Attorney Investigations 2, was never translated to English or released in the U.S. Will Ace Attorney 5 stand a better chance? Only time (and fan enthusiasm) will tell.